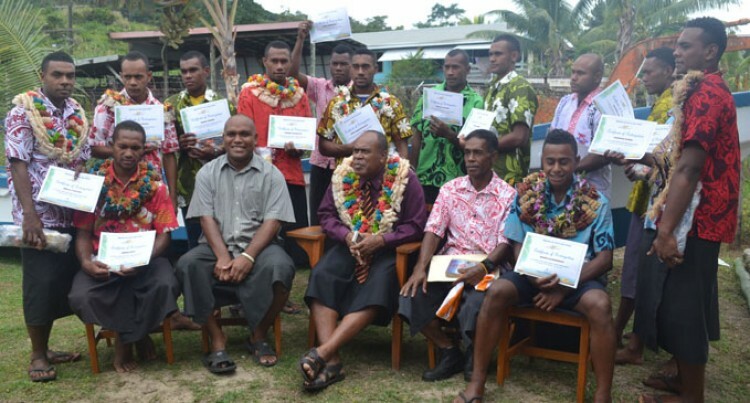 Fourteen trainees, who are youths from Cakaudrove, Bua and Macuata provinces, graduated from Naqere Youth Training Centre in Savusavu yesterday. The youths had undergone four weeks of small engine and two weeks of fibreglass boat repair training at the centre. Mr Sania said the ministry believed training young people can help positively and effectively contribute in the transformation of our rural landscape. He urged youths to learn to appreciate the rural resources and to maximise on the opportunities available. “The ministry believes that these sets of skills and similar training are what our young people need so they can help to positively and effectively contribute in the transformation of our rural landscape,” he said. “I urge you to learn to appreciate our rural resources and to maximise on the opportunities available. “The ministry is fully committed to the development of young people and we will continue to provide the necessary assistance and support needed in order to realise this,” he said. The Permanent Secretary hoped that the centre had contributed positively to the graduates’ transformation as individuals and that they would in turn collectively transform their communities when they returned.